Conveyors - TS Designs Inc.
WE CUSTOM BUILD CONVEYORS TO FIT YOUR NEEDS. 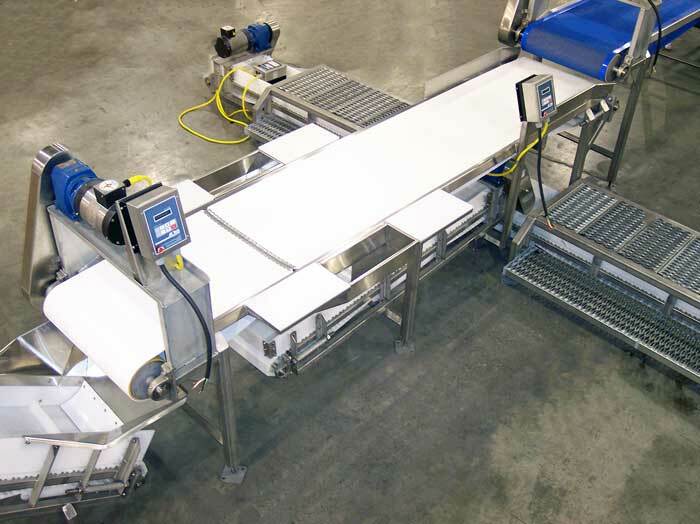 When you need custom-built food service conveyors, turn to TS Designs Inc. in Burley, Idaho. 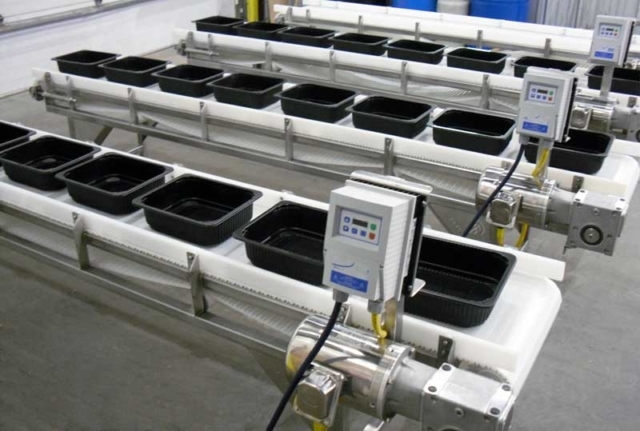 We’re committed to building equipment that fit your needs at a price right for your budget. 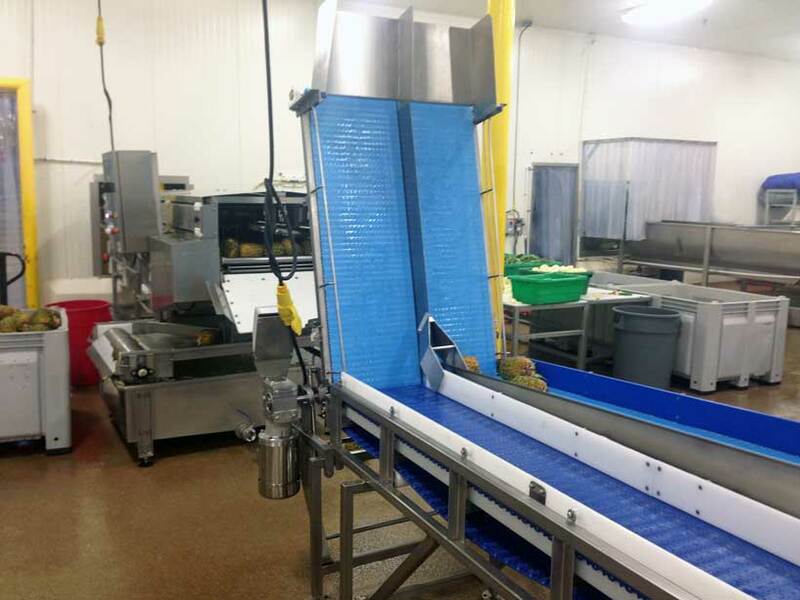 Speak with us about your processing facility to begin creating custom food service equipment for your operation. 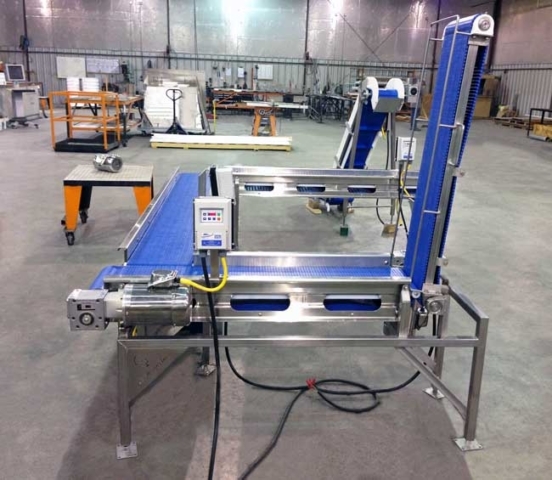 No matter your food processing operation’s conveyor needs, it can be built. Any type, style, length, or width is available to you at a price you can afford. 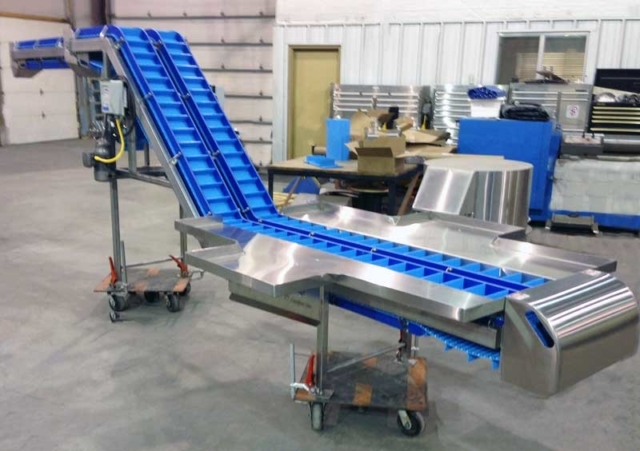 The firm has extensive experience constructing food service equipment for facilities of all sizes and types, as well as conveyor lines with special features. 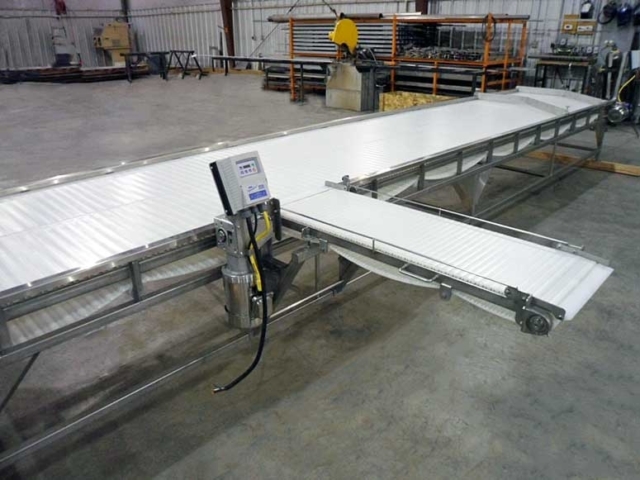 One of the newest models available, the Dual Belt Even Flow/Metering food service conveyors’ design eliminates bridging. This means they can be fed with tote dumps or through the removable access door on the back of the conveyor. 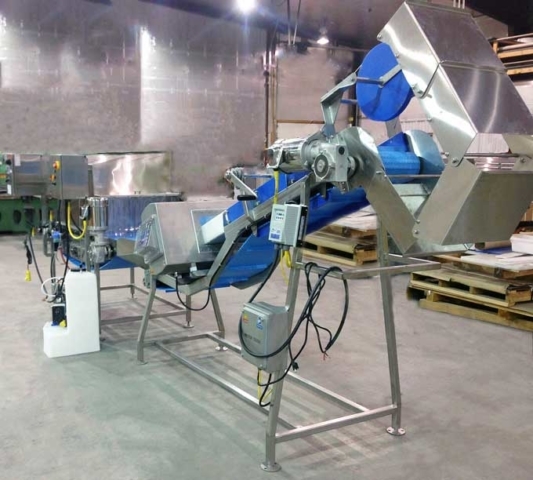 The versatility of this design makes it popular with a number of small, medium, and large food processing facilities. Also known as extendable, telescoping are an ideal solution for reducing the time and effort involved in loading and unloading. 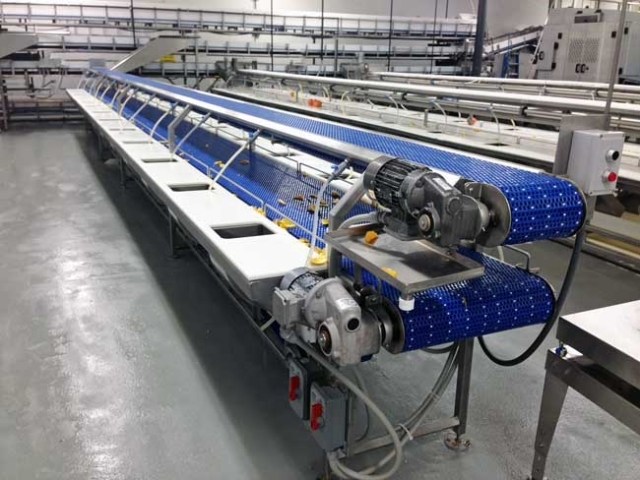 If the professional environment at your facility is constantly changing, telescoping conveyors go a long way to facilitating efficient operations. Help your facility’s day-to-day operations run more smoothly with adjustable height food service conveyors. 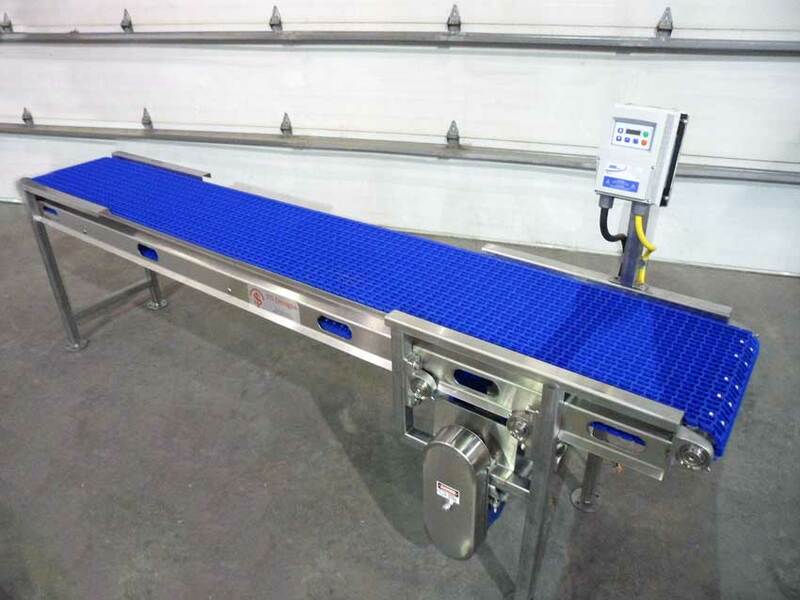 A conveyor designed for adjustable height provides you with the versatility you need to effectively run an ever-shifting work environment. 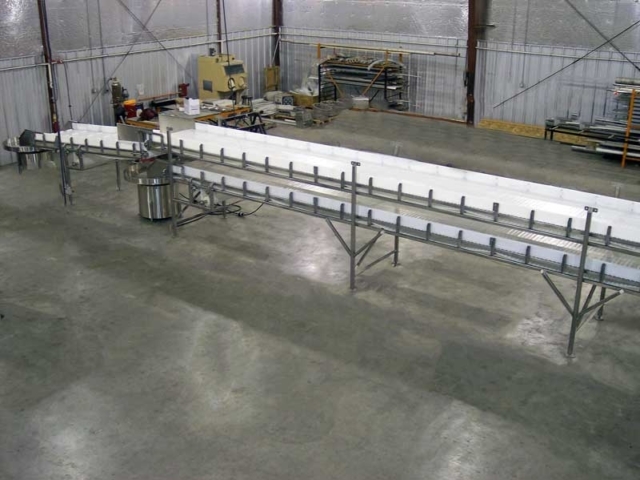 The adjustable height conveyors designed and constructed by our firm feature a reliable locking mechanism that allows for maximum holding strength, making them safer for your employees. Dry your product quickly and thoroughly. 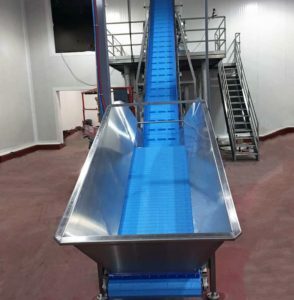 These specialty conveyors shake the product as it passes through to remove water. They also feature screens that are easily accessible and exchangeable, making cleaning and repairs simple when necessary. Explore information on the other food processing equipment sold through the firm by visiting the products page. 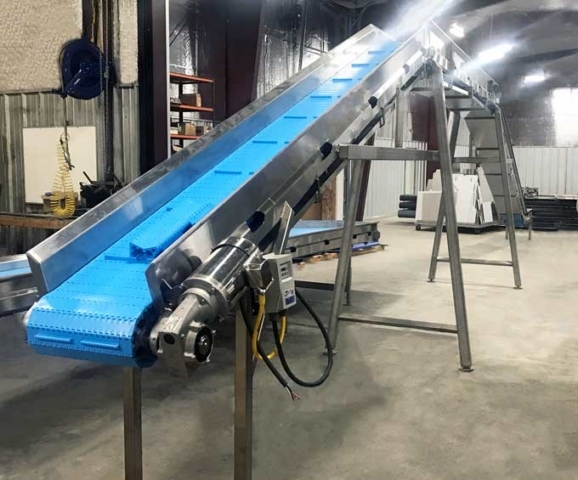 If you have any questions, do not hesitate to contact us online or at (208) 878-3000 for more in-depth detail on customized food processing conveyors to meet your firm’s needs.. We’re always happy to help clients pick out the right equipment for their operations. 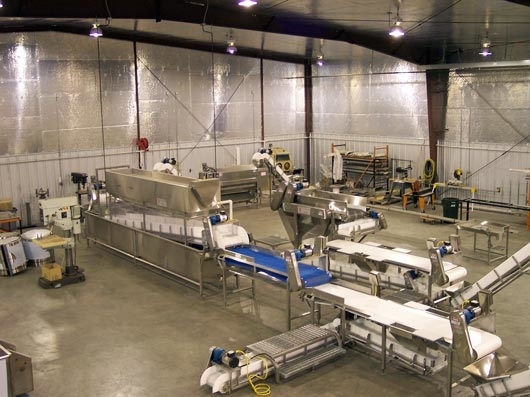 We serve facilities throughout the United States, Mexico, and Canada.